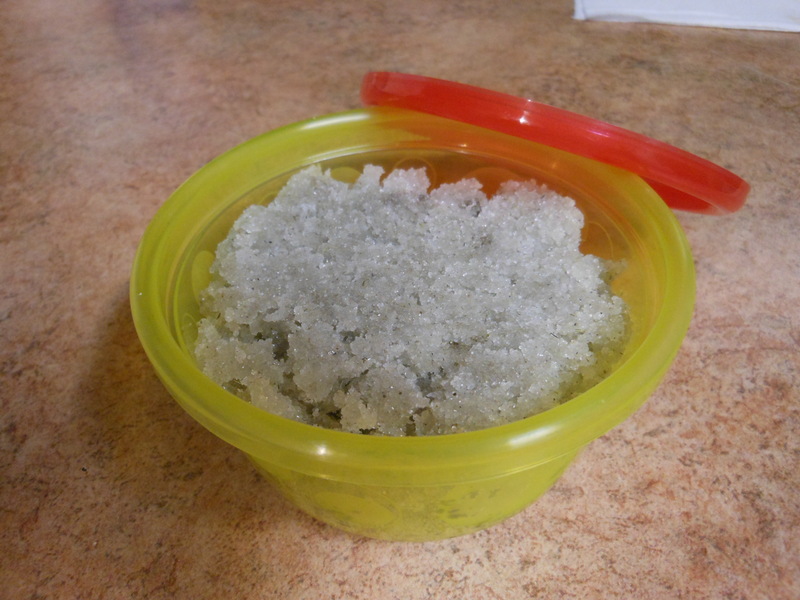 I absolutely adore sugar scrub! 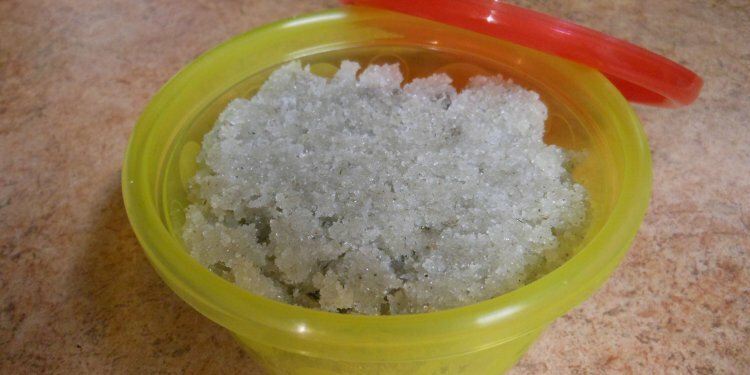 It’s a great way to exfoliate and soften your skin and it’s wonderfully inexpensive. Perfect for the ladies to use all over, or even for a man to use on rough hands, elbows and knees. it’s also incredibly versatile. You can make this in just a few minutes in your kitchen. I make it on a regular basis and use it twice a week to keep my skin baby soft and glowing. This makes almost a cup and is enough to do my body from forehead to toes three times. 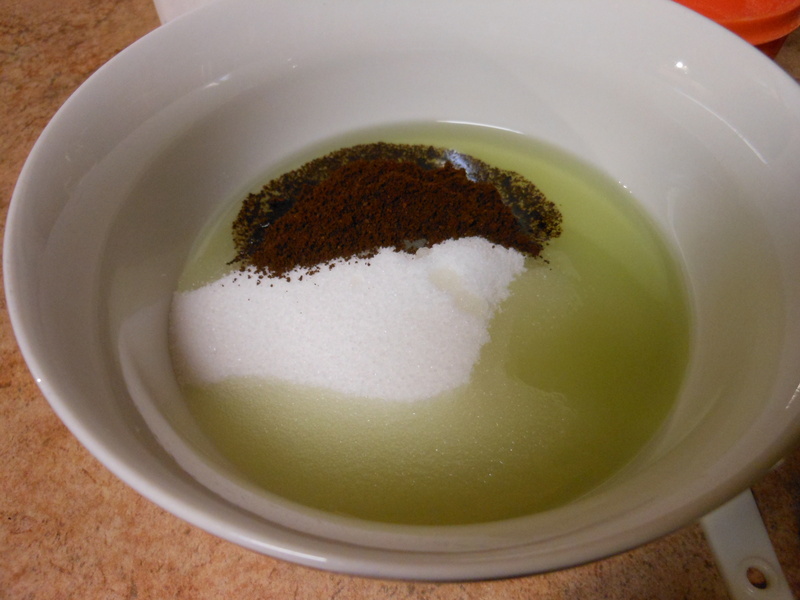 Put your sugar, oil, and vitamin E into a bowl. Grind your herbs or additives into a powder using a spice grinder. In this photo I’ve used coffee bean, but I’ve also used cinnamon bark, lavender, chamomile, peppermint and various other things. Just make sure it’s a powder or you could get weird lumps or coarse bits that would be painful when using. Mix your ingredients until fully combined. Make sure there are no lumps of powdered herb and the oil is fully integrated. Most herbal sugar scrubs are not pretty, like that lavender one which looks gray. I leave them natural, but I suppose you could add a few drops of food coloring if aesthetics are really important to you. Even though they’re not pretty, they do smell amazing and work great. When you’re done just pack the scrub into airtight containers and make sure to keep any water from getting into them. That’s all there is to it. 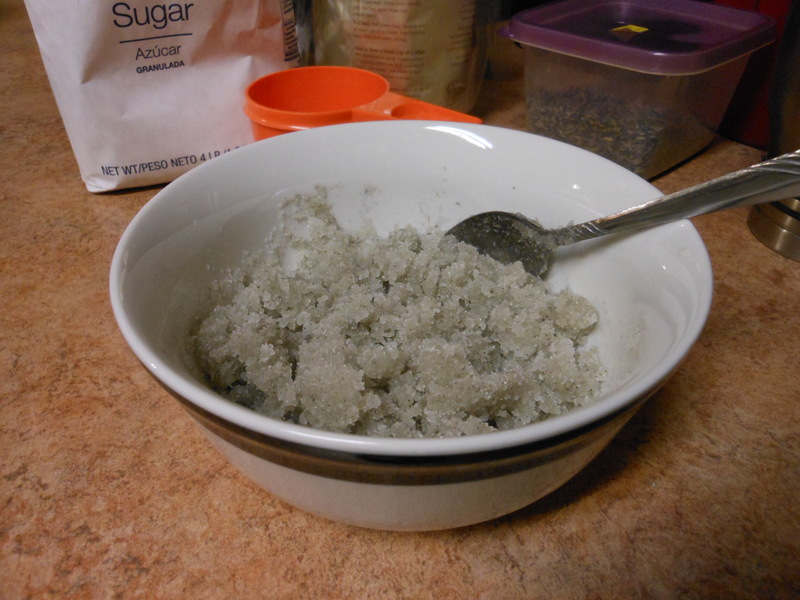 Whenever I need a new batch of scrub I just mix it up in the kitchen. I keep the oil and herbs on hand all the time.